Quantum: International Software for the planning of Out-Of-Home Advertising. Quantum is the result of a partnership between CUENDE Infometrics and Telmar Group, an American company with clients in 85 countries specialized in media software planning tools. Quantum offers OoH Media companies and Media Agencies, the most powerful and cutting-edge tool for planning and management of Outdoor advertising, adapted to work with any Audience Measurement data. Quantum UK: ROUTE, the Audience Measurement organization, has selected Quantum as its standard planning tool. Quantum Spain: The most complete OoH planning tool of Spanish OOH market to run Geomex data. Quantum SA: Optimized to operate with OMC (Out of Home Measurement Council) data. 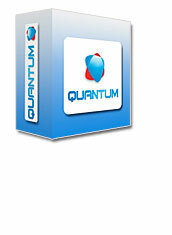 Quantum Pakistan: MOVE standard media planing tool. Instant calculation of the audience of a netwok or outdoor advertising format. GRP, coverage and frequency data. 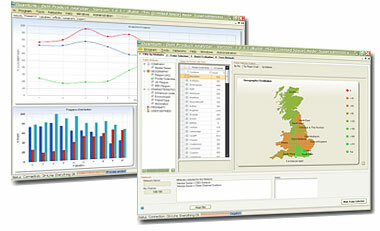 Select networks for multiple geographic or socio-demographic criteria. To create ad-hoc networks depending on the target or the required socio-demographic segmentation. To administer the stock of billboards. To inform the agencies about offers and discounts on the established networks. To generate audience certificates of a specific network. Export to XLM, pdf, Excel and Power Point. Quantum can integrate data from multiple audience measurement systems, although the complex algorithms required in the calculation of audience can require specific versions tailored to the research systems used in each country. Additionally, the commercialization of advertising is not the same in all countries. However, Quantum is a flexible system that can adapt to the peculiarities of each market. For more information, contact the nearest office of Telmar.